The beauty industry is booming at a rapid pace. In recent times, several cosmetic brands and salons have come up with myriad products and services to meet customer needs. Hence, the demand for professional beauticians has seen a spike. A trained and certified beautician is one who has mastered the skills to deliver professional services in specific areas of beauty and wellness. Cosmetologist: This is one of the most in-demand job profiles in the beauty industry. With the right training, you can start your career in as a professional cosmetologist. Learn nitty-gritty of skin care, hair care, makeup, and personal grooming during the course. After completing a course in cosmetology, grab a chance to work as a professional cosmetologist in leading salons and spas across the world. 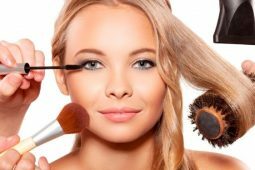 Be it facial, waxing, haircut, makeup, or consultations, a cosmetologist can deliver the best of services in different areas of beauty. As an experienced cosmetologist, you can also work with celebrities for cinemas, shows, and fashion shoots. Beauty Therapist: From teenagers to adults, and from professionals to homemakers, a skilled beauty therapist has the potential to work with people from all walks of life. As a beauty therapist, your job is not confined within a salon. You can work in pharmacies and departmental stores or for beauty brands. A certified beauty therapist can work as a waxing technician, nail artist, makeup artist, skin care expert, or hair stylists independently or with salons and cosmetic brands. Meet people, deliver the best services, and keep climbing up the ladder as a beauty therapist. Hairstylist: The search for a good haircut, hairstyle, or hair colour is never-ending. So is the demand for hair stylists! As a hair stylist, you can offer a wide variety of services like cutting, colouring, spa, smoothening and styling. A course in hair care teaches the fundamentals of hair cutting, styling, perming, colouring and spa. If you wish to upgrade yourself, join the advanced course and get trained in advanced hair treatments, cuts and colouring techniques. As a professional hair stylist, keep yourself updated with the latest trends in hairstyles, and the world will be all yours! Makeup artist: Makeup application is an intrinsic part of a makeover. Only a skilled makeup artist can do that with perfection. 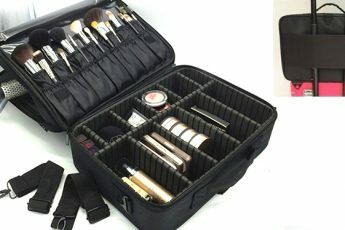 From corporate to cocktail and bridal makeup, a skilled makeup artist can create a look for every occasion. As a professional, you can work with salons, beauty brands, and celebrities. If you aspire to be a professional makeup artist, get the right training and keep yourself updated with latest makeup products, styles and application techniques. Reward your clients with a look they are going to remember forever. Skincare expert: A skin care expert suggests clients on skin care regime and beauty products as per skin types. A certified skin care expert provides specialised services like facial, body massage, pigmentation and anti-ageing treatments, manicure, pedicure, bleaching, and waxing. Most skin-care experts work in salons and spas, or as a representative for skin care products in medical stores, departmental stores, and cosmetic shops. You can also work as a makeup artist or skin consultant for celebrities and top personalities. Have the right business know-how? You can be an independent skin consultant and develop your own products. Jobs in beauty industry are challenging yet glamourous. Give it a try! Nail artist: As a nail artist or nail technician, your career is not confined to a manicurist or pedicurist. An exclusive course in nail art throws light on specialised areas like nail treatments, gel extension, acrylic nail extension, and cut, file and polish. From basic to extravagant designs, a skilled nail artist can make dull nails look attractive with the right colour, design, and technique. As a professional, stay updated with the latest nail art designs, maintain a professional attitude, and work with precision. You can work as a nail artist in a salon or nail studio, or even set up your own outlet. 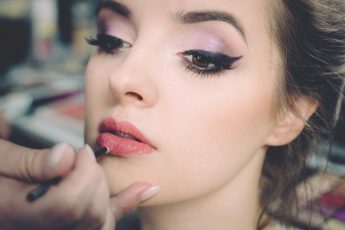 Jobs in beauty industry is on the rise. Pick a field of your choice and set your goals for rewarding careers in beauty and fashion.